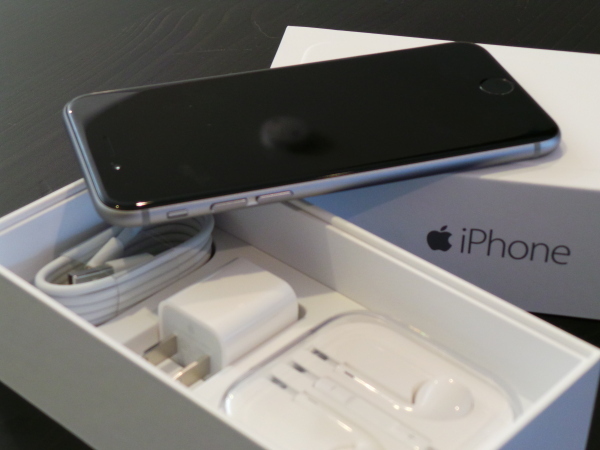 So, you are the lucky owner of a shiny new iPhone 6 or iPhone 6 Plus–now what? For the veteran iPhone owner, the process of setting up an iPhone hasn’t changed much over the years. However, if this is your first iPhone, perhaps you are a little intimidated. If that’s the case–here are the (5) things you need to do to get you off and running and enjoying your new iPhone in no time. 1.> Download the latest version of iTunes to your computer. If you have never downloaded iTunes before, you can download both the Mac & Windows versions from Apple here. If you do have iTunes, launch the app and check to make sure you have the latest version by selecting the iTunes tab–>check for updates. 2.> Power on your device and follow the set-up process. At this point all you are doing is selecting your language preference, your geographical information, choosing a wi-fi network, and deciding whether or not to turn on location services (all of which can be altered in the settings at a later date if you choose). 3.> Decide whether you want to set-up your iPhone as NEW or restore from a saved back-up. If you still have your previous iPhone, make sure to back it up–either to iTunes or iCloud. This way, the most recent version of your phone and the most recent changes that you have made to that iPhone will be available to you if you choose the restore option. 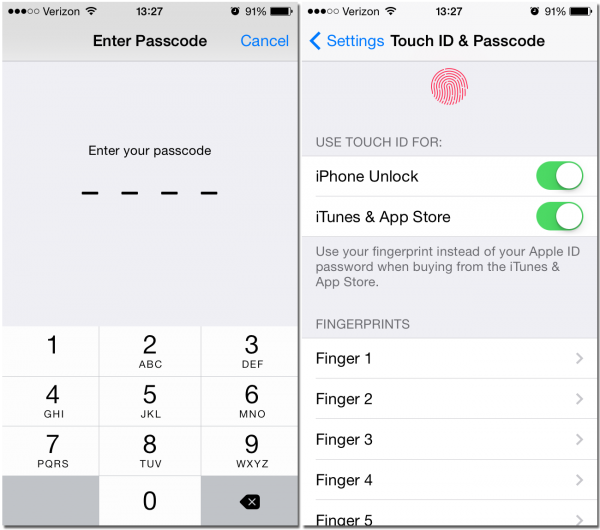 4.> Set-up your passcode, enable and set-up Touch-ID, and turn on automatic iCloud back-ups. These are very important steps that every iPhone user should take the time to set-up. A passcode can be a simple 4-digit number or a longer password with letters and numbers. The latter of the two is more secure–but a simple passcode is still much better than no passcode at all. Touch-ID is fantastic. Once you set-up several of your fingerprints (the decision on which fingers to use is totally up to the user) you will wonder how you ever got along without this feature. I simply can’t say enough good things about Touch-ID. 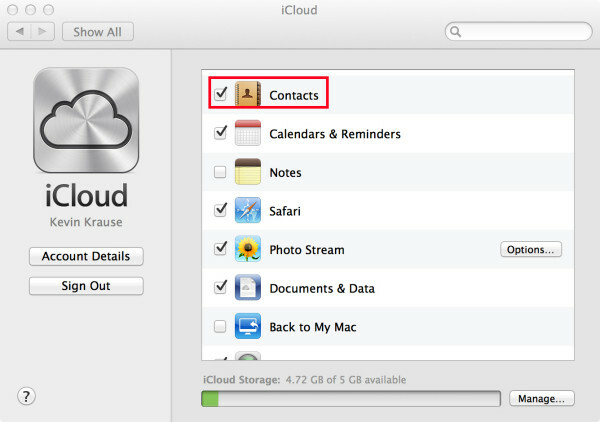 Make sure to also turn on automatic iCloud back-ups. You can still choose to back-up your device to iTunes as well. However, I have encountered many individuals who haven’t done either, and having iCloud back-up your contacts and other personal information automatically every night while you are connected to wi-fi is a very valuable feature that has saved me many times, and is well worth it. 5.> Set-up Apple Pay on your iPhone. Apple Pay is an extremely easy way to pay for your commodities using a familiar, yet underutilized payment method–NFC technology. Apple’s ambitious plan to revolutionize the mobile payment system via Apple Pay is evident with their traditional “ease of use” philosophy. It’s exciting to see Apple Pay in so many stores already, and those numbers will continue to grow as more and more people become familiar with the process. 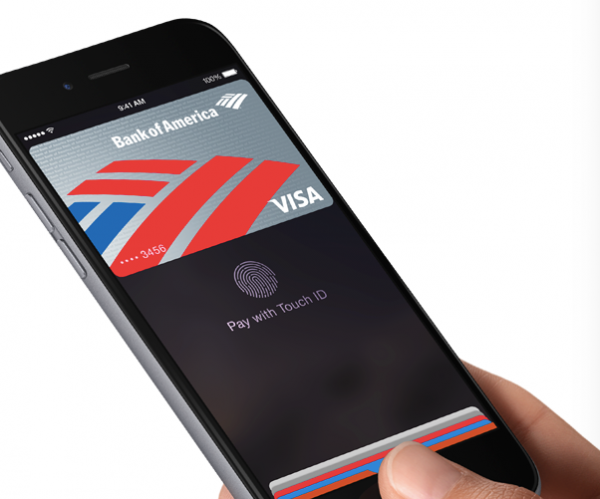 For help on setting up Apple Pay on your iPhone 6 or iPhone 6 Plus, check out our tutorial.